Rodrique Ngono, 49, farmer and hunter in Miatta village, situated on the southern periphery of the Dja Wildlife Reserve sharpens his matchet early in the morning in front of his homestead in readiness for his days catch. But the planned expedition in search of rat mole won’t take place around his village, as it used to. 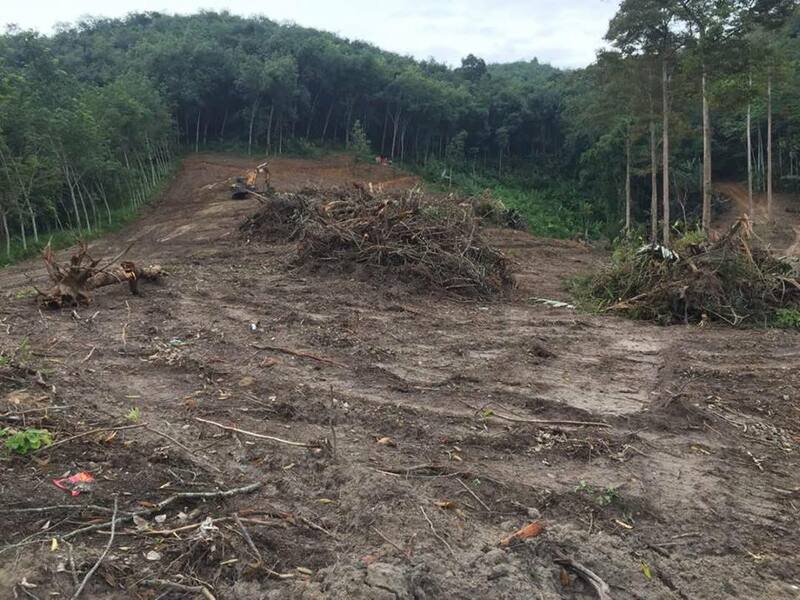 Just 2 kilometers (km) away, the surrounding verdant blend of forest trees is disappearing. Shrieks from wildlife can be heard in the far distance, reminding him of the good old days. « That should probably be the chimps in the Dja Wildlife reserve,” Ngono says. The lowland rainforest of Dja Wildlife Reserve, a UNESCO World Heritage Site, seems an ideal refuge for a myriad of endangered species such as chimpanzees, forest elephants, western lowland gorillas, and a nearly extinct leopard species, with neighboring villages home to around 9,500 people, according to Greenpeace. But just along the western edge of the forest and wildlife reserve, there are signs of trouble. Stakes are planted in the ground with rubber seedlings for nurseries. This is part of an ambitious plan by a rubber company in Cameroon in partnership with a Chinese company to set up a 45.000 hectares plantation next to the wildlife reserve. 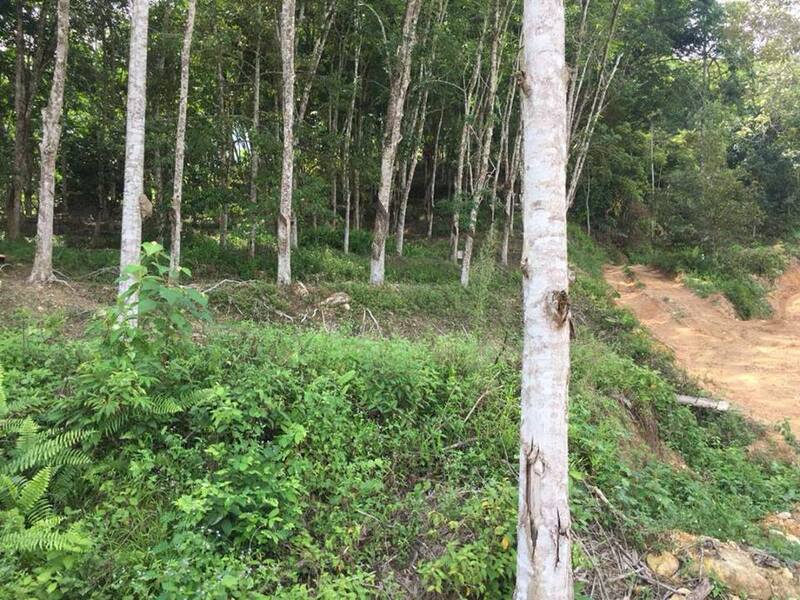 The expansion of the Sudcam rubber plantation, experts argue, has come at the expense of forest. The rubber plantation is owned by Sudcam, a subsidiary of the world’s largest natural rubber company Halcyon Agri Corporation, with a China-based parent company Sinochem International. The China-based company according to the ministry of agriculture owns 80% share of the company. 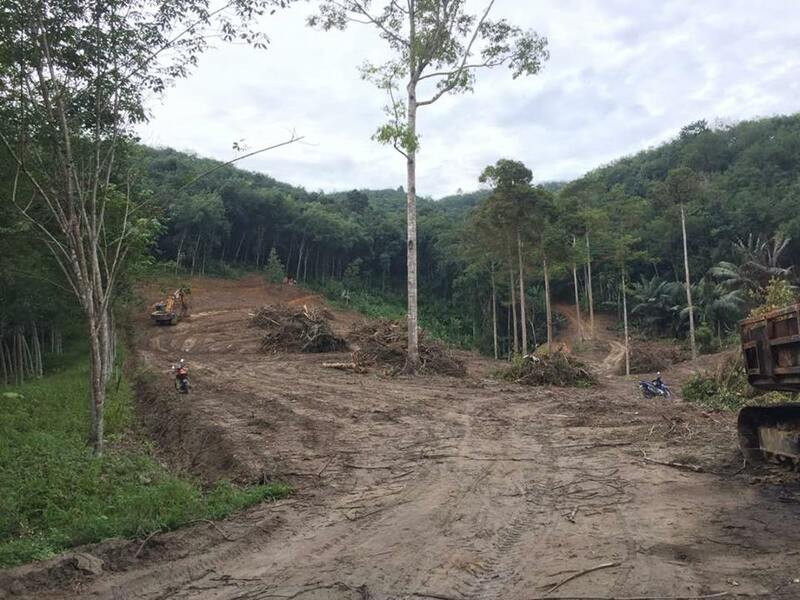 Experts say the plantation project at Ndibision near the Dja Reserve is a disaster to the forest population in the area and a big threat to endangered forest species. Residents around the Dja Forest Reserve argue that it is becoming harder to find land to cultivate. Some say they have to travel considerably long distances to find one. 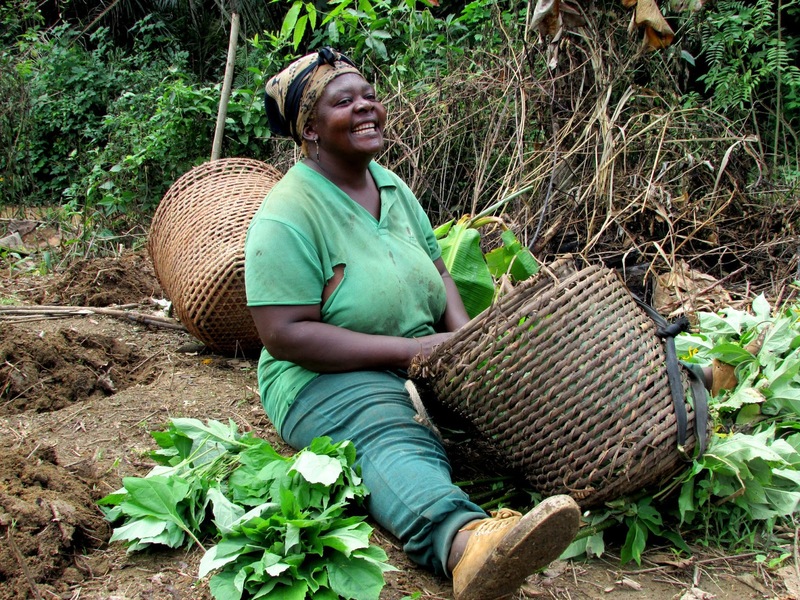 According to Augustine Njamnshi of the Bio-resource Centre, an NGO that protect the rights and interest of indigenous forest communities, the rubber plantation project is a disaster not only to the forest communities in the area but even more importantly to protected wildlife species in the UNESCO World Heritage site. « The rubber plantation project that has displaced forest people and now threatens wildlife is a sheer disaster, » Njamnshi said. The forest expansion is extending to Meyomessala, Meyomessi, and Djoum. The company also plans to construct a rubber transformation company on a 60.000 hectares surface area in Meyomessala by 2019, Njamnshi told InfoCongo. « The rubber plantation project that has displaced forest people and now threatens wildlife is a sheer disaster, » says Augustine Njamnshi, head of a local NGO. « A convention to that effect has already been signed with the Cameroon government, » he said. Since the forest clearing started, the livelihood of the local people, already thin, has become dire. Village community members say they have offered a litany of complaints against Sudcam. They complain the company has grabbed land and displaced families without compensation. « I lost my land to Sudcam and my source of income is long gone. I am no longer able to send my children to school and feed my family, » says Rayan Ebidi, a farmer, and resident in Miatta village. An updated June 2018 report from the Global Land Analysis & Discovery, a forest monitoring tool of the World Resources Institute show tree cover loss indicating nearly 1,000 hectares (2,500 acres) of tree cover was affected from November 2017 through January 2018, including previously unfragmented intact forest areas. In total, more than 3,000 hectares (7,500 acres) has been cleared since 2014, the report says. Another report by CIFOR-Cameroon shows that the years following the last global financial crisis saw a boom in Chinese investments in the rubber industry in Cameroon, in particular in rubber estates belonging to two companies: Sud-Cameroun Hevea SA and GMG HEVECAM. These investments come from Sinochem, one of the largest Chinese state-owned multinationals, and involve the rehabilitation of existing rubber estates, as well as expansion into new areas which are mostly forested. HEVECAM rubber company is owned and controlled by Chinese Company GMG International occupying 40992 hectares with 22000 hectares presently exploited, producing 32000 tons of natural rubber and employing over 6000 works, third highest employer after the state and Cameroon Development Corporation, the report says. These investments carried out with the consent and complicity of government officials, experts say, have significantly increased the rate of deforestation in Cameroon, threatening the entire Congo Basin forest. It has also resulted in hardship for the indigenous forest population of these areas who have been displaced from their natural habitat. « The government has opened its arms to Chinese investors who are destroying natural habitat and making life even more difficult for poor forest communities, » says Samuel Nguiffo, CEO of Centre for Environment and Development, an NGO in Cameroon that defends the rights of forest communities. Officials of Sudcam, Halcyon Agri and Cameroon’s Ministry of Forestry and Wildlife declined to make any comment. « It is not my place to comment on such matters, » said Bruno Mfou’ou Mfou’ou, Director of Forestry in the Ministry of Forestry and Wildlife. But media reports from Cameroon said the Ministry of Environment and Nature Protection had in January 2018 held public audience aimed at sampling public opinion on the environmental and social impact of the rubber plantation transformation project in Meyomesala. Environment experts say recent mapping of the area « has shown widespread dispossession of community lands and resources, including those of indigenous Baka people », a specially protected community. Communities claim that “there has been wholly inadequate compensation, provisions to protect their livelihood, and no benefits from the plantations”. Rosine Masha another villager in Miatta and widow with six children who lost around 50 hectares of her land to Sudcam says the future looks grim. « I was given only three small plots measuring two and half hectares as compensation. My children are now scattered everywhere looking for land to rent and cultivate,” she told InfoCongo. Cameroon is reported to be among a growing number of African nations hoping to follow in the steps of so-called “Asian and Chinese tigers” like Malaysia and Indonesia, which have made hundreds of billions of dollars by converting huge tracts of smallholders farmland and rainforest into industrial plantations. The world lost tree cover the size of Italy in 2017 as forests were cleared using fire to make way for farms from the Amazon to the Congo Basin, an independent forest monitoring network has said. Tree cover loss, mostly in the tropics, totaled 294,000 square kms (113,000 square miles) last year, just short of a record 297,000 sq km in 2016, according to Global Forest Watch, run by the U.S.-based World Resources Institute (WRI). « Tropical forests were lost at a rate equivalent to 40 football (soccer) fields per minute » in 2017, » Global Forest Watch reports. Primates are particularly vulnerable because as many as 80 percent live outside protected reserves in Africa, according to the International Union for Conservation of Nature (IUCN). Their numbers have fallen drastically over the past two decades largely due to the clearing of rainforests, bushmeat trade and diseases such as Ebola. Statistics show that China is a large importer of natural rubber. In 2016, China’s natural rubber import reached 2.5 million tons, the amount of import was up to USD 3.35 billion according to reports. They also support the growth of rubber plantations in Africa as a source of raw material supply, tearing down forest and wildlife in the process. Environment experts and forest activists are calling on governments to take strong actions in reinforcing forest governance. « The way forward is more stringent governance measures by the government, » said Samuel Nguiffo.